Somehow we used to manage without knowing when the next bus was coming, and somehow life still went on. In London, that distant past is less than two years ago. 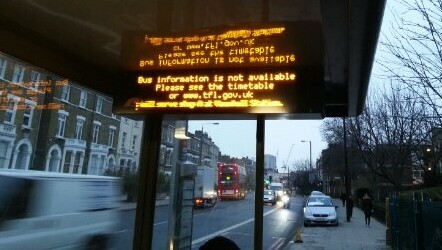 All that time ago, bus arrival information was new, exciting and empowering. Now, of course, it has just vanished into the background. It is how things are and how they should be. Successful inventions disappear from our awareness. Until, that is, they go missing or stop working. And the next bus could be anywhere.